Thanksgiving started early for me this year. At the end of October I attended an entrepreneurs’ camp hosted by the Tzu Chi (慈濟 stands for “compassionate” and “relief” or “giving”) Foundation. It seems like everyday is Thanksgiving Day there. Instead of saying “thank you” (謝謝) to each other, all volunteers say “thanks for giving” (感恩). Curious, I asked a volunteer, “I have not given anything, why you are saying thanks for giving to me?” He said, “You are giving your time to come here. So yes, you are already giving.” I guess I did not realize how easy it is to give. I was asked to meet with the CEO of Tzu Chi Foundation USA a few months ago for a potential enhancement of the foundation’s U.S. website. While I had heard of the foundation through my relatives and colleagues, this was the first time I visited. I was nervous that I was going to a religious place to get an earful of religious doctrine. I was so wrong. The foundation is amazingly inclusive. They spoke passionately about their mission and their needs for technology improvement. 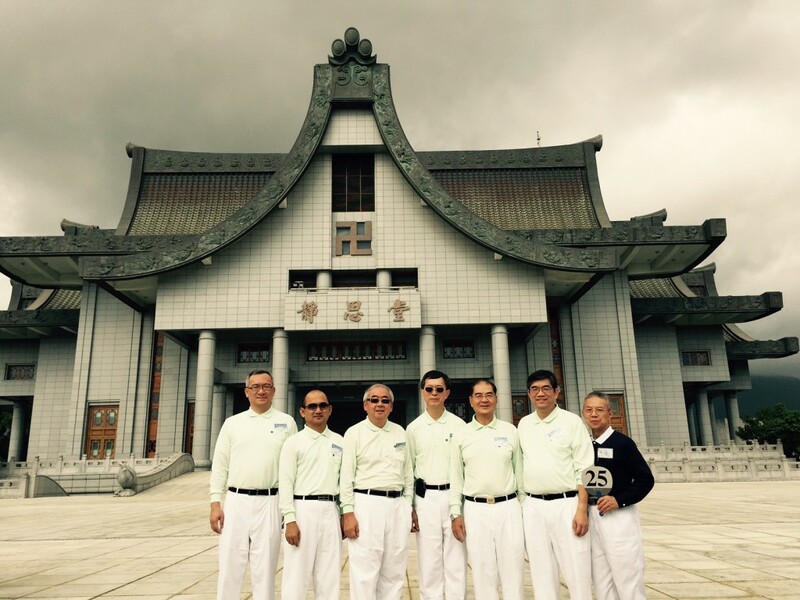 All of Tzu Chi’s administrative staff are well educated; most hold PhDs or MDs, and though the organization was founded on Buddhist principles, it welcomes people of all faiths. Han, the CEO, has a PhD in biology. There is a retired MD from the Buckeye state of Ohio that is Christian. As a non-profit organization, they have quite a sophisticated system mostly supported by volunteers. 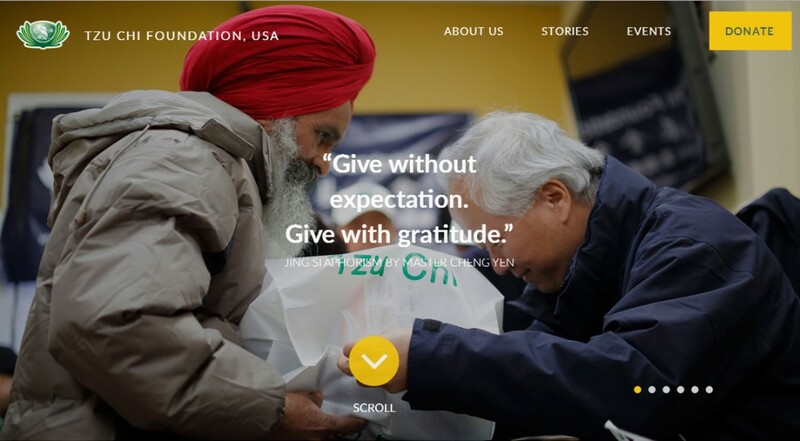 As a result of my visit, Logic helped Tzu Chi Foundation launch the U.S. website (http://www.tzuchi.us/) that contains many fascinating stories. Even if we hadn’t been involved, I would still have encouraged everyone to visit this site because the humanitarian effort experiences you will read there are remarkable. The other project that we hope to help develop in the near future is Tzu Chi’s eBamboo app for mobile devices. Founder Dharma Master Cheng Yen already had this concept of micro-giving (micro financing) in 1966. The idea of the bamboo bank for Tzu Chi Foundation started out when Dharma Master Cheng Yen started a charity fund by encouraging her followers—30 housewives—to drop just a couple cents of their grocery money into the bamboo bank each day before going to the market. The message was simple: when pooled together, even a little bit of change makes a big difference, and a daily good deed is a powerful way to cultivate oneself. This mirrors my experience growing up in Taiwan. My grandmother would buy us a bamboo bank every year. A bamboo bank is a section of a bamboo with a coin slot in it where one can put change. When the Chinese New Year came, we would chop open the bamboo bank and get our money out to spend on fireworks, snacks, etc. In the early days while the disciples of Dharma Master Chen Yen barely had enough to eat, they still set aside a percentage of their rice before they cooked it. The saved rice was used for relief efforts to give to the most needed later. Giving is no longer the privilege of the very wealthy; the spirit of giving can be embodied by everyone. While at Tzu Chi’s U.S. headquarters, I learned that there is an entrepreneur camp to better understand Tzu Chi in Taiwan. The camp experience was unforgettable. On the last day, I had the good fortune to be interviewed by the local TV station about my experiences. I said that many of the attendees who were business people running for-profit organizations, and as head of a for-profit company myself, used to think that a company needed to achieve greater financial results, and subsequently greater social responsibility, in order to be able to give back more. Was I wrong? Many of the Tzu Chi volunteers are giving whatever they could by setting aside as little as a few cents a day into the bamboo bank. As a company, we need to think of “giving” from day one. We want to help Tzu Chi’s bamboo bank enter the digital age with an eBamboo app. My next stop after Taiwan was Shanghai. Riding on the high spirit of giving, I was happy to give up my seat at the subway train for the elderly. I dropped 10 RMB into a beggar’s bucket when he asked. I took my son Andy to the eco-center of Tzu Chi Shanghai to help sort some of the recycle materials. 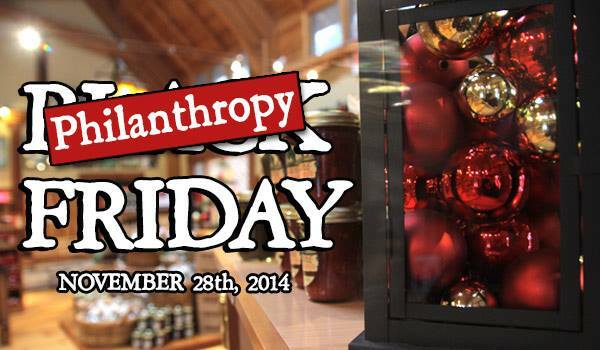 Drop in to any Cherry Republic store today for a fistful of samples and to nominate your favorite charity. Each store will randomly select one of the charities nominated for a $500 donation. Call it Philanthropy Friday! And then there was “Giving Tuesday” which made another day of the week very meaningful. Let’s keep it up: Thanksgiving and thanks for giving everyday. It is that simple. Give time, give knowledge, give money, or simply give up your seats for the elderly, giving is so easy. It is not the amount of giving that really matters. It is the spirit of giving. eBamboo! Coming soon to the mobile device near you!